I'm excited to announce that our pre-season starts on Thanksgiving Weekend with an Arena Tournament on Nov. 28th & 29th. In December we have polo tournaments every weekend. On Friday, January 9th, we kick-off Opening Weekend with "Polo Under The Lights." "Opening Day & Hat Day" at Empire Polo Club is Sunday, January 11th. We will offer Sunday Polo the weekend prior on Jan. 4th, but the "Official" Opening Day is set for the 11th. Please contact me if you have any questions about the upcoming season. Empire Polo Club is pleased to announce that Opening Weekend of Polo is scheduled for Jan. 9th - 11th, 2015. Friday night "Polo Under The Lights" kicks-off the weekend on Jan. 9th followed by "Opening Day & Hat Day" on Sunday, January 11th. This season we are excited to announce the addition of a football lounge to our VIP Sunday Polo venue. Three big flat screens will be airing Sunday football games and other popular sports. The lounge is located next to the main bar area and will give VIP spectators the opportunity to enjoy both football and polo! Other changes include additional covered VIP seating on the Trophy Terrace that overlooks the main polo field.. A second VIP bar located near the cabanas has been added along with an outdoor barbeque and updated menu. Sunday Polo is scheduled from Jan. 4th - March 29th, 2015. 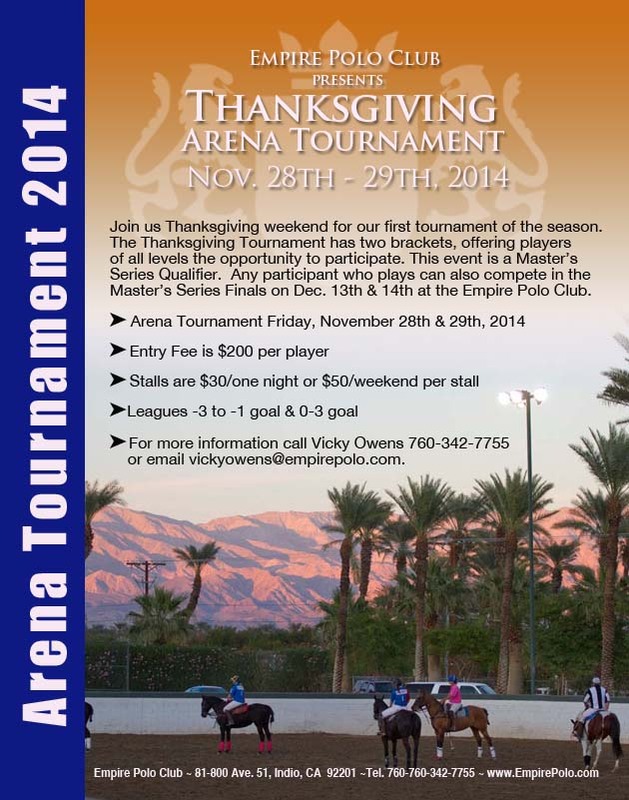 Sunday Polo will continue each weekend through March 29th, 2015. There won't be any polo on March 1st, as we are dark that weekend. The featured Sunday Polo matches are held at 12:00 PM and 2:00 PM. General Admission and Tailgating are FREE with a $10 per car parking fee. Picnic fare, chairs and blankets are allowed in the General Admission & Tailgating area. Friday night "Polo Under The Lights" is held on the second Friday of each month. Admission and parking are free for Friday night games. There is no VIP seating during these games. The featured match on Friday night starts at 5:30 PM in Jan. & Feb. and at 6 PM in March. Friday night games last about 1 hour. Tailgaters are welcome and bleacher seating is available for spectators. Tailgaters and spectators are welcome to bring in their own picnic fare. Bar service is available during the Friday night games. To access the Friday night games enter the Empire Polo Club from Monroe St. between Ave. 50 and Ave. 51. The Friday night game is held on field #3. Click here for directions and a map. 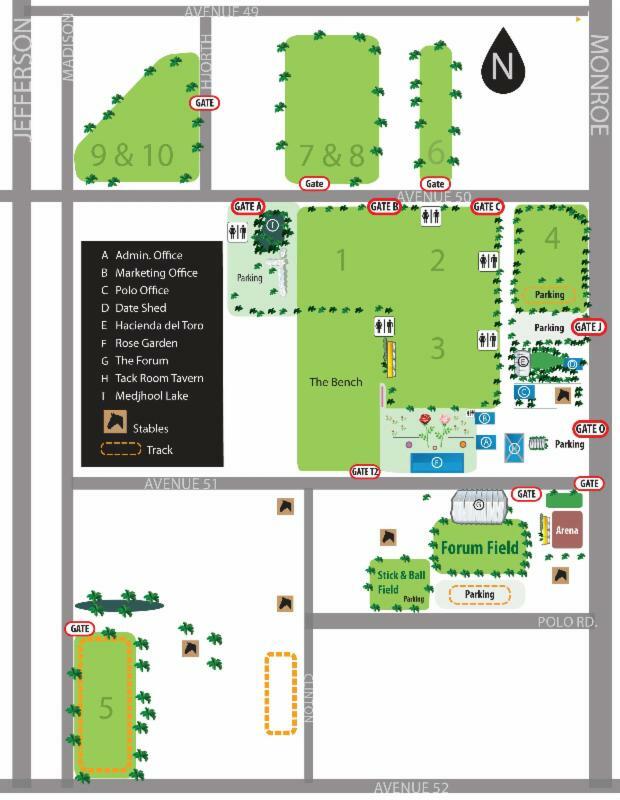 Please refer to the map below for directions to the Empire Polo Club. 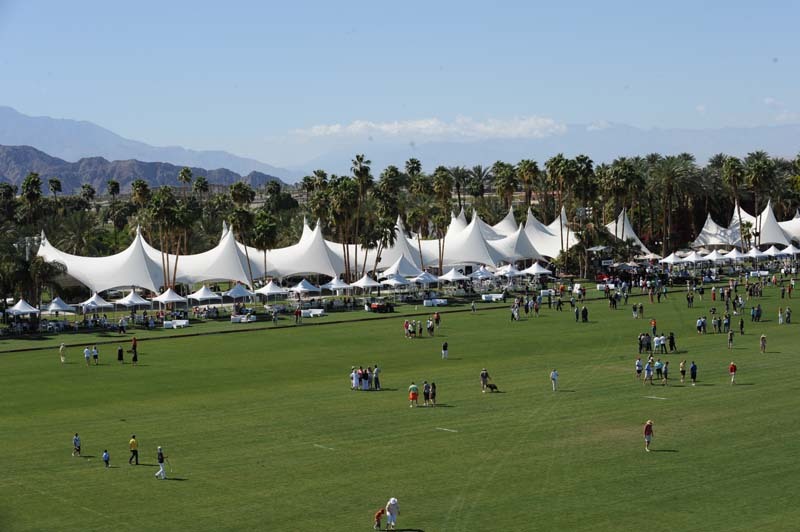 Often described as one of the most beautiful polo facilities in the world, the Empire Polo Club offers players affordable polo with all the benefits of a five star club. Empire hosts 1-Goal, 4-Goal and 6-8 Goal Leagues during the winter season. USPA Tournaments include the annual USPA 6-8 Goal Champions Cup and the USPA 4-Goal Lions Cup on March 20-29th. Empire Polo Club Social Memberships include a variety of benefits including VIP admission to all of the Sunday Polo games. Click here to read more about Empire Polo Club Social Memberships. Group and private lessons are available Tuesday through Sunday by appointment. If you are a first time student you can sign-up for our 2 for 1 polo lesson special. This is only available for first time students and some restrictions apply. Use the form below to sign up for this special offer. Click here to sign-up for a 2 for 1 Polo Lesson Special at Empire Polo Club. There are multiple entrances to Empire Polo Club. The entrance for Sunday Polo games is on Ave. 50. Please refer to the directions and map below for gate locations. From Interstate 10 take the Monroe St. exit. Head south on Monroe St. Take a right on Ave. 50 and you will see the Empire entrance gates on the left side of the road. Use GATE B for tailgating access and General Admission parking. If you are a cabana holder, have VIP reservations for a table or if you are part of a group with reservations, use GATE A to access the VIP parking area. 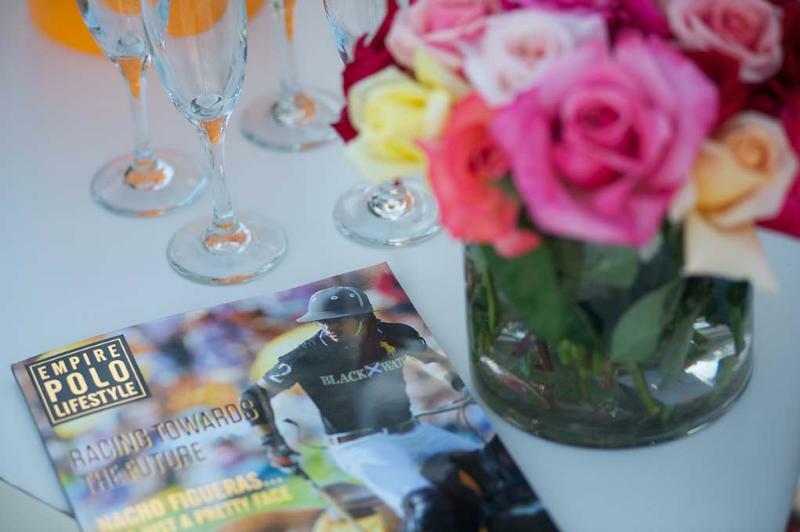 Visit our website for more information and details about polo at the Empire Polo Club. In one of the most exciting games of the fall season at Grand Champions Polo Club Casablanca (Grant Ganzi, Kris Kampsen, Nic Roldan and Jeff Blake) fought their way to a 10-9 overtime win over Palm Beach Polo (Glenn Straub, Brandon Phillips, Jeff Hall and Tommy Biddle) in overtime to capture the 2014 USPA North American Cup. Palm Beach Polo received two goals by handicap from the 20-goal Casablanca team and went up 3-0 following an early goal from Tommy Biddle. Nic Roldan scored for Casablanca with less than a minute left in the chukker giving Palm Beach Polo the early lead, 3-1. Kris Kampsen scored a goal from the field at the 4:18 mark and added another on a penalty conversion with two minutes on the clock. Palm Beach Polo was held scoreless with the chukker ending in a 3-3 tie. Both defenses stepped it up in the third chukker with shots being deflected by astute defensive moves and others just missing the mark. At the end of the first half the score remained even at 3-3. Brandon Phillips opened the second half with a goal from the field that put Palm Beach Polo in the lead, 6-5, but the rest of the period belonged to Kris Kampsen and Casablanca. Consecutive penalty conversions from Kampsen were followed by a goal from the field. At the end of the chukker Casablanca found themselves on top, 6-4. The two teams traded goals in the fifth. Palm Beach Polo picked up single goals from Phillips and Jeff Hall to tie it at 6-6. Casablanca took advantages of Palm Beach Polo fouls as Kampsen converted twice. With one chukker left in regulation time Casablanca led, 8-6. Phillips cut the lead to a single goal, 8-7 with just two minutes into the sixth period, but Casablanca answered back with a goal from Kampsen, 9-7. Phillips caught fire in the waning minutes of the period scoring twice and knotting the score at 9-9 for the final scores of the period and forcing a sudden-death overtime. It didn’t take long for Casablanca to cash in on a Palm Beach Polo foul. With the Casablanca players attacking the Palm Beach Polo goal, the umpire’s whistle blew, awarding Casablanca another penalty opportunity. Kampsen took careful aim and drove the ball through the goalposts for the 10-9 win and the 2014 USPA North American Cup title. Kampsen led all scoring with nine goals (five on penalty shots). Roldan scored once but was an integral part of the Casablanca attack and was named MVP. Phillips scored five goals for Palm Beach Polo with single goals from Hall and Biddle. 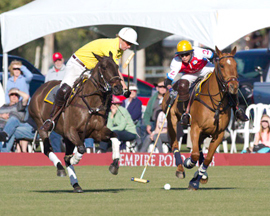 Palm Beach Polo also received two goals by handicap in the loss. Jeff Hall’s six-year-old Chestnut mare, Texas Two Step, was honored as Best Playing Pony.